18-year-old Rift Shaawook designed a 0.14-pound satellite using 3D-printed carbon fiber. His invention will be sent on one of NASA’s suborbital flights. The satellite is expected to operate for 12 minutes in microgravity. Shaawook and his colleagues assure that they designed the totality of the satellite named KalamSat, which is equipped to measure the Earth’s magnetosphere, alongside the satellite’s own positional data. A picture of Rift Shaawook holding a science trophy. Image credit: TECH LABS. 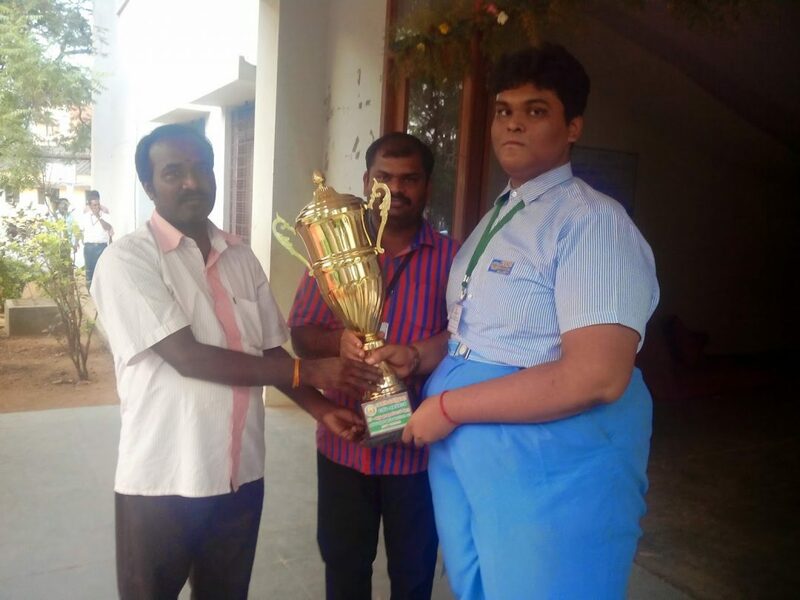 The device was selected as a winner to the Cubes in Space Challenge, a competition sponsored by NASA and the Colorado Space Grant Consortium, oriented to allow students to launch their creations into space, although KalamSat is not the first of Shawook’s creations. The young man had already built a helium weather balloon when he was 15 years old. Now he will see KalamSat float in space for 240 minutes, while it is meant to operate for a total of 12 minutes. Although the satellite is capable of performing accurate measurements, its primary purpose as suggested by Shaawook, is to prove that 3D-printed carbon fiber miniature satellites work well in space. 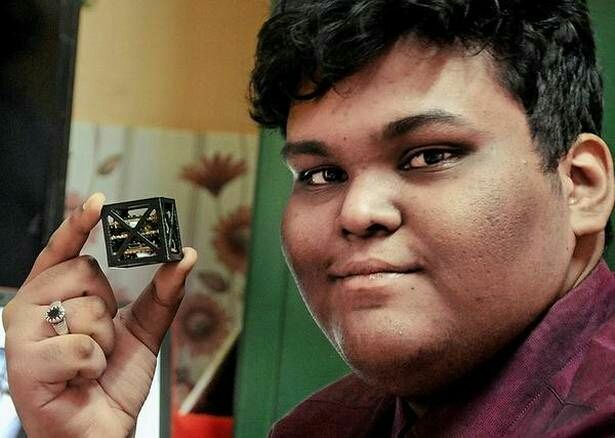 18-year-old Rift Shaawook holding the world’s smallest satellite. Image credit: Cubes in Space. The competition originated from NASA’s intentions on using smaller satellites, which might be the future in acquiring measurements from space. A regular satellite weighs tons, while NASA’s designs of smallsats and cubesats appear to weigh less than 180 kilograms. Cost reduction seems to be the primary incentive, seeing that if Shaawook’s invention works, the long-term savings will be immense, allowing space agencies to allocate resources toward different purposes. “The further you are away, you get power difficulties, communication difficulties. There’s a number of problems that arise from that. But we shouldn’t be afraid… we need to figure out what are the technologies we need to make them a viable set of missions,” stated James Green to BBC News, NASA’s head of planetary science. Furthermore, 3D printing is being employed by companies that manufacture space equipment, including Boeing Satellite Systems. Reportedly, Boeing has satellites ready for launch that are comprised of at least 50 3D-printed parts. The benefit is that instead of manufacturing four different pieces for a single structure, 3D printing allows having a single piece with the same strength, with a reduced cost in manufacturing. 3D printing could also be the solution for creating lunar bases out of the lunar soil. In 2012, NASA challenged Washington State University to 3D print using fake moon rock. They heated the material and managed to print out cylinders made from it, which is comprised of silicon, calcium, iron, aluminum, and magnesium. The cylinders were solid, without any visible cracks. Building structures using the lunar regolith as a base material seems a feasible possibility. “It is an exciting science fiction story, but maybe we’ll hear about it in the next few years. As long as you can have additive manufacturing set up, you may be able to scoop up and print whatever you want. It’s not that far-fetched,” stated Amit Bandyopadhyay from WSU, who conducted the test.